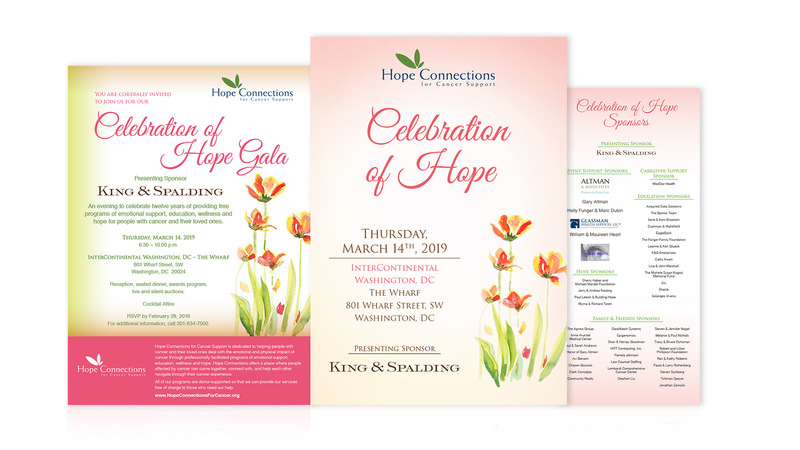 Clark Concepts supports Hope Connections for Cancer support with upbeat, engaging design for participants who are dealing with a high level of stress. 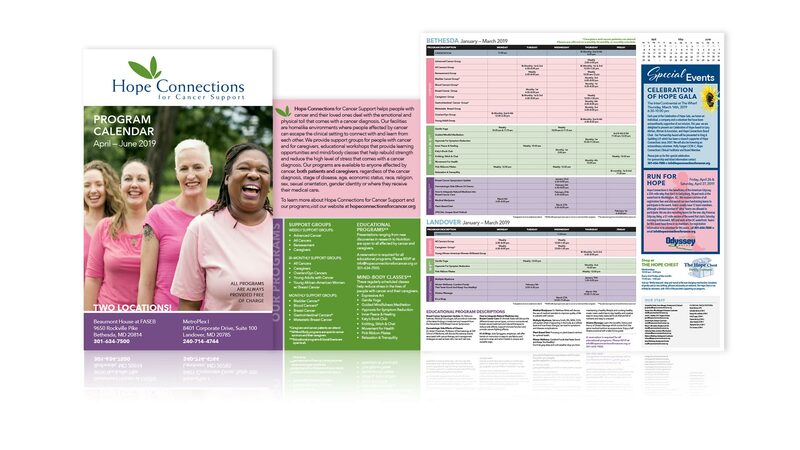 Our approach is to communicate in a warm, welcoming, and inviting way – to encourage people to consider taking advantage of the resources this organization provides. 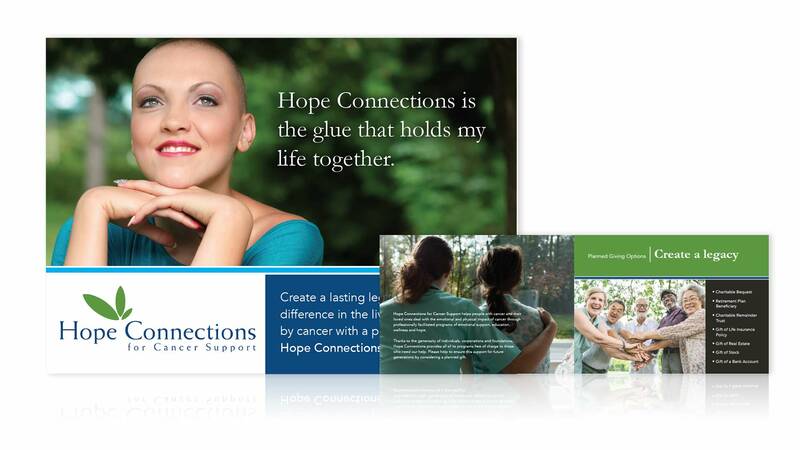 We support informational materials, signage, event support, quarterly calendars, and more for this organization who are doing great things for the cancer community.